Brandy’s got some big shoes to fill on her fourth album Afrodisiac, and it’s a challenge she willingly signed up for. “I wanna represent her,” she says of Aaliyah on “Turn It Up,” one of nine tracks produced by the late singer’s former pal and producer Timbaland. “I don’t wanna sound familiar/Want a guaranteed single, not an album filler,” Brandy boldly declares, but while Afrodisiac offers up some of Timbo’s warmest work to date, the scales are tipped too heavily in his soon-to-be-retired favor while Kanye West, the man who’s given Brandy the guaranteed hit she was looking for with the refreshingly old-school “Talk About Our Love,” contributes a scarce two tracks. That’s not to say Brandy hasn’t met her match in Timbaland, whose “Afrodisiac,” the aforementioned “Turn It Up,” and “Should I Go” are album highlights. 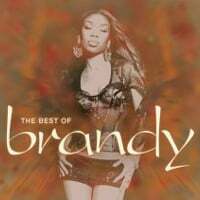 Brandy sings “Should I go?/Should I stay?/I’m in control either way” (essentially the album’s running theme) over a sampled piano arpeggio from Coldplay’s Grammy-winning “Clocks,” yet another shout-out to the band it’s become excruciatingly cool to say you like (“I think I wanna hear some Coldplay,” Brandy sings a few tracks earlier, proceeding to quote from the band’s song “Sparks”). Brandy, who recently split from her husband, makes only one small lyrical contribution this time around but you’d never know it; songs like “I Tried” and “Focus” sound like they’ve been torn straight out of the singer’s personal diary. (Timbaland even manages to pad “Finally,” a song about breaking from the chains of a bad relationship, with a symbolic sample of Hans Zimmer’s score from the 1996 Alcatraz blockbuster The Rock.) Producer Warryn “Baby Dubb” Campbell injects “Who I Am,” which could have been another trite “I’m better off without you” anthem, with inventive lyrics (“I had to get rid of the weight/On my fourth finger, left hand”) and a delicate, pirouetting keyboard melody that would make Chris Martin proud.